Happy Friday everyone! We made it to another weekend, and a holiday weekend to boot! Do you have big plans for the 4th? We are playing it low key as we have the last couple of years. We pack a picnic, head over to the beach and watch the fireworks on the beach! So relaxing! I wanted to share with you a color sensation that just screams "Summer!" It's such a fresh, clean and crisp color. Maybe that's why I chose it for my blog design. Hmm. And you know what they say, "An apple a day keeps the Doctor away!" 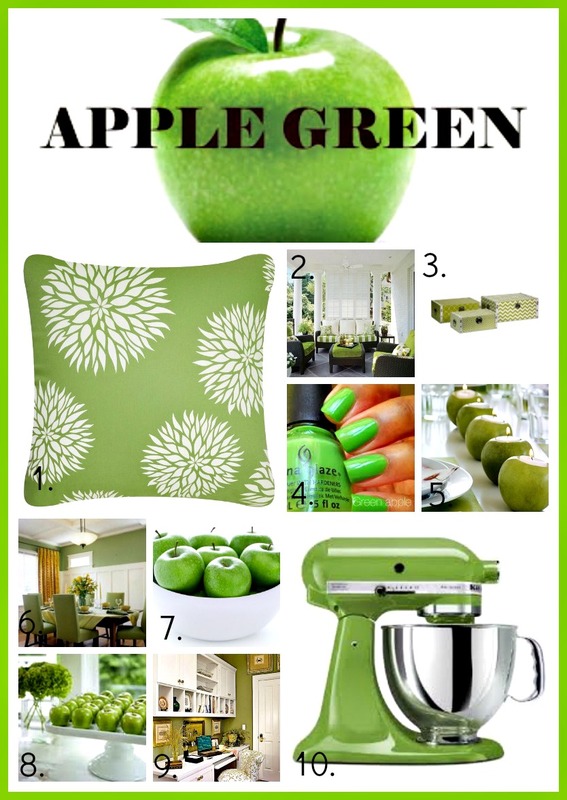 I think using pops of Apple Green is just what the Doctor ordered!